PREPARATION TIME: 10 minutes, plus making and cooling porridge. 200g/7oz poached raspberries or other poached or fresh fruit of your choice. Put the cream, honey and whisky in a large bowl and whisk, using an electric whisk, until soft peaks form. 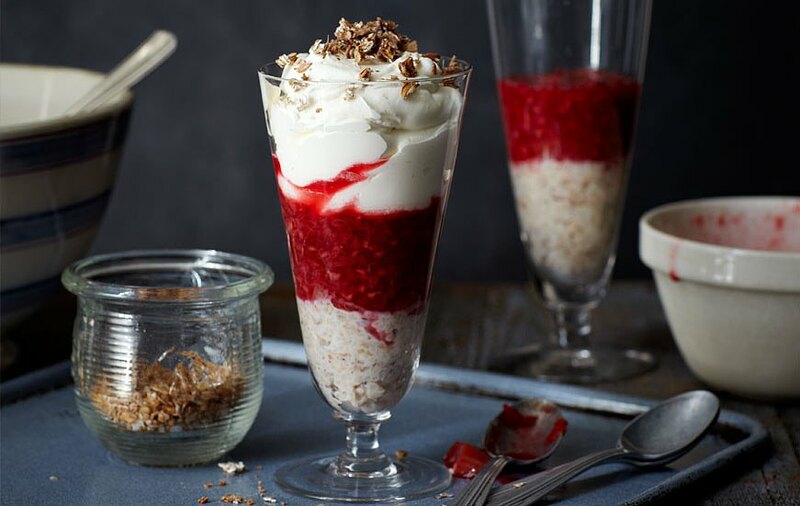 Spoon a layer of the spelt porridge into tall glasses, then a layer of the poached raspberries and finally the flavoured cream. 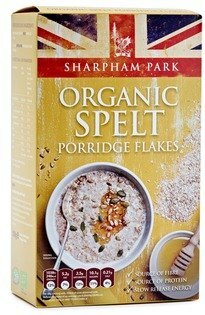 Sprinkle with the spelt porridge flakes, if using. Chill in the fridge until you are readyto serve.